Off-Page Optimization is a very important part of SEO. There are a number of ways to do off-page optimization. It requires more time and more hard work. But thing is that you should apply your efforts to right way. It is an important question. Off-Page optimizations mean you are marketing your links or blog over the internet. If you have more incoming links, your blog would get more traffic. And by doing this practice you will see a huge increase in reputation of your blog. This time I want to share my best 7 effective ways to do off-page optimization. You cannot ignore this part of off-page optimization. No blog/website can survive for long time if sitemap of that blog/website is not submitted in search engines. You can create sitemap of your blog manually. But it requires some technical coding. There are also many websites offering free sitemap generation. After creating sitemap you should submit it to search engines. The main search engines are Google, Bing and Yahoo. You must submit your sitemap to Google, Bing and Yahoo. Commenting is also a part of off-page optimization. But it requires some extra care and time. You would be asked how commenting can be a part of off-page optimization. It can be, when you are commenting on websites that are relevant to the subject or niche of your website. It is an old way to do off-page optimization. As someone says “old is gold”. It is correct. But people talking website submission is nearly dead. But it is not true. Directory submission is still effective way to do off-page optimization. You all need to be careful selection of category you are going to choose. After successful submission your website can get a huge traffic from those directories. Some of big directories are DMOZ, Zoominfo, One Mission, and Yahoo Directory. There are also a number of directories offering paid listing to do off-page optimization. Forum posting is also best way to do off-page optimization. You can join forums and add your website links in profile area. While forum discussion try to drive traffic to your blog/website. I want to share my list of best dofollow forum with you. If you have some extra time then write your unique articles and submit to article directories. Article directories are very popular to get traffic from. There are a number of free article directories. Among them Ezine and Article Base are good one. Question and Answer sites are closely related to forums. But Q & A is being used especially for finding answers for different questions. You can do off-page optimization using these sites. You all need to choose relevant category and give answers to questions with links to your blog/website. Zeeshan Ahmed recently posted…How to Optimize your Blogger Images for Better SEO Rank? I do agree with you. But to be some extent if we use right category then we would get link juice. Well, some good sources here. I’m following some of them and did not get much time for some others. I wonder if directory submission are still valuable for search engine optimization. Similarly, I doubt with article directories too. Suresh Khanal recently posted…Bivori Top Commenters of June 2013! Tagging on bookmarking sites makes a big difference Mubashir. Take a second to optimize and drive targeted traffic to your posts; tag your bookmark and write a short but detailed description to do a better job optimizing. A few steps taken each day can make a world of difference. When I start sharing my links on bookmarking sites, I was not using proper tags. Later when I try to add some proper tagging closely relevant to my topic then I feel a big positive change in traffic. But slowly. Yes, as Suresh told, I don’t think the directory and article submission are not that much effective in off page SEO. Am not doing it too. Unique and awesome points here! Getting Dofollow and High Quality Backlinks is the best off-*optimization process you can do for your blog! Well very true. If we try to get Dofollow links during off-page optimization then it would be great. Yeah !! Well written Bro. 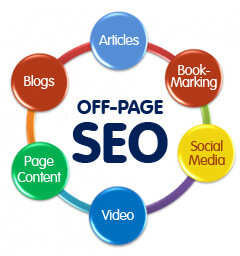 SEO is one of the toughest tasks in the blogosphere. Thanks for the tip bro. Yes it toughest. That’s why SEO experts charge a lot of money for SEO. But if we work consistently and honestly then we could save a lot and can get a lot experience. Blog commenting has been my most engaged Off page SEO method of promoting my blog, not only will you earn traffic but backlinks too. I comment on especially blogs that have CommentLuv plugin. Forum comenting and answering on Q and A sites are also great i personally use Replyz and its been great. These are most common practice these days. But in Q n A case, many of bloggers are not taking it serious. Its is nice source of incoming links bloggers. Search Engine Optimisation is one of the most important part of the blog. i already working with most them. Anyways thank’s for sharing tips. it will help many newbie bloggers. I don’t think so Article directory can hit your reputation or Google can penalize on this. Its a part of blogging. People getting link back to their blogs. But again this will required a lot time to write separate articles. So we have a great alternative. Mubashir doing a good job Bro.. Keep it Up..
Hello Mubashir, this is some great information. I’m sure a lot of bloggers and site owners don’t even realize or even think about off-page SEO techniques and strategies. You would think things like XML sitemaps and blog commenting would be no brainers, but a lot of people still don’t see the value. There is also a group of folks that decry social bookmarking as being spammy, but I disagree. Thanks for sharing your thoughts and insights here and keep up the great work! ASSALAM O ALAIKUM Mubashir I wanna ask something I started my website 2 weeks before and I am making backlinks by commenting and other sources you explained but here in SEO Quake do not showing any backlinks like L and LD of my website that is showing of others site but not mine whats reason ?? My site is new therefore that is not showing ? ?